Netgear and Telstra have launched the Arlo Go LTE Camera, a mobile monitoring device featuring HD Video, night vision, two-way audio, rechargeable batteries and an IP65 weather resistant rating. Connected by Telstra, the Arlo Go LTE Camera connects to the Telstra Mobile Network with the ability to operate wire-free and without WiFi connectivity. Telstra will also offer the Arlo Go LTE Camera with a bonus Arlo Solar Panel to help keep the device’s battery charged for even longer periods. “Our customers have told us they are looking for a high-quality and flexible solution to monitor the things that matter to them including their homes, office, assets and pets,” said Jeremy Howe, Telstra’s Director of Product Innovation. Arlo HD Smart Cameras are easily set up in minutes, Without the dependency on an existing WiFi connection, the Arlo Go LTE Camera can be deployed and re-deployed quickly wherever there is Telstra Mobile Network coverage. As with all Arlo cameras, Arlo Go LTE includes a rolling seven days of cloud storage from Netgear so you can record and review videos from the Arlo app. With the Arlo Go LTE Camera’s advanced PIR motion sensor, users are alerted with near real-time notifications whenever an object enters the camera’s field of view. Through Arlo’s mobile and browser apps, you get a live, on demand view of the location as well as the ability to easily play previously recorded videos. 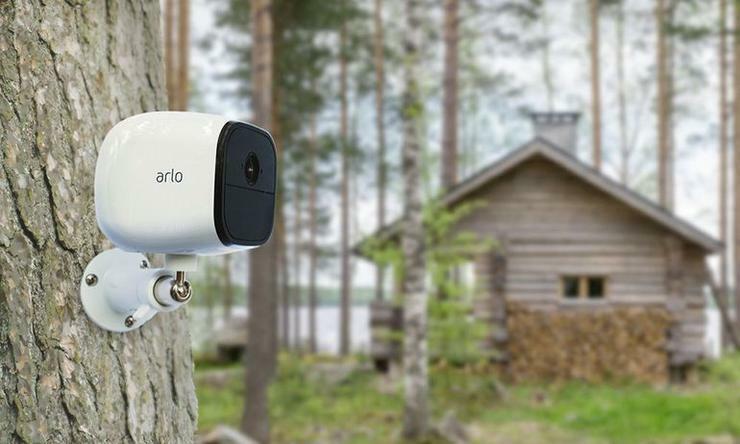 “Arlo Go LTE Camera is the latest example of how we develop products with a clear focus on our customers’ needs,” said Pat Collins, senior vice president of Arlo products at Netgear. The Arlo Go LTE Camera by Netgear is now available through Telstra Consumer & Small Business channels as a mobile monitoring solution on a range of data plans. For plans and pricing information please visit: telstra.com.au.